Mercedes-Benz Canada Inc. partners with Queen’s University to develop greener vehicles. With a demonstration fleet of B-Class F-Cell vehicles unveiled in 2010, Mercedes-Benz has established itself as a key competitor in this emerging market. The breakthrough came as a result of thousands of hours of research and development into fuel cell technology at Mercedes-Benz’s North American pilot manufacturing plant. This research was supported in part by partnerships with Canadian universities through Mitacs Accelerate, including an ongoing collaboration with Queen’s University’s Fuel Cell Research Centre. Under direction of Professor Jon Pharoah, two Masters of Mechanical Engineering students recently set out to solve a key manufacturing challenge for the company. Master's student Anne Moore first set out on the Mitacs Accelerate project in 2014. In collaboration with the Mercedes-Benz R&D team, Anne tested important fuel cell materials under university and industry-scale laboratory conditions in order to understand how the testing methods from her university lab could be replicated under the scaled-up conditions of a fuel cell stack manufacturing site. Her research revealed fundamental properties of the materials that affected manufacturing quality control. The results Anne obtained formed the basis of a second project, this time with Mitacs Accelerate intern Philippe Coté. 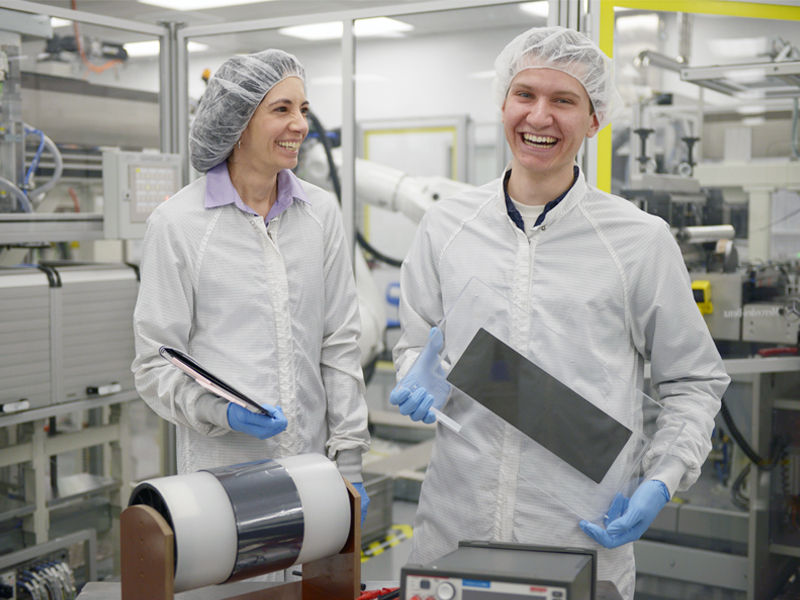 Drawing from the previous research, Philippe is testing ways to optimize the material at the core of the fuel cell unit by understanding how its physical and chemical properties change to determine when it is ready for use in manufacturing. The combined research produced by Anne and Philippe helped to develop protocols and quality-control standards that will shape the future of fuel cell manufacturing and pushes Mercedes-Benz one step further in the race to unleash hydrogen fuel cell technology to an eager public. 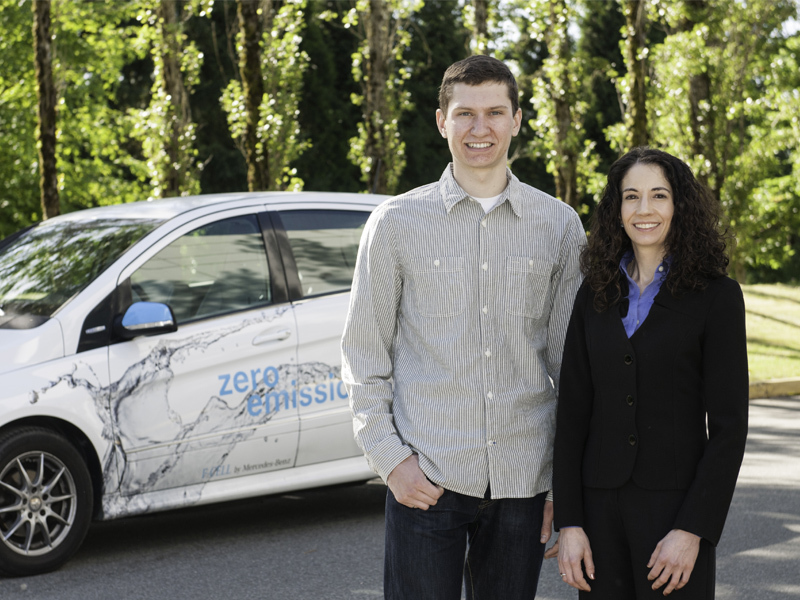 Photo at right: Caroline Cloutier from Mercedes-Benz Canada Inc., Fuel Cell Division with Mitacs intern Philippe Coté.